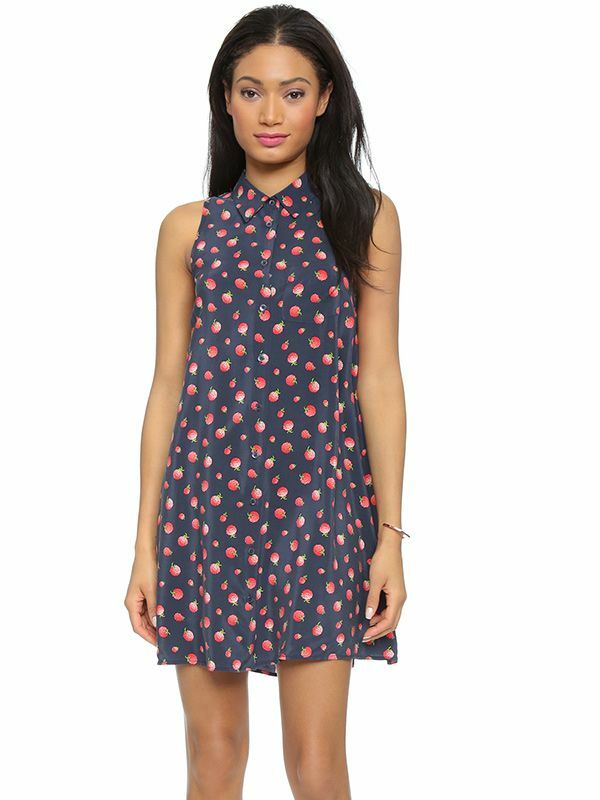 A sleeveless dress is a great way to beat the heat at any warm-weather festival. And this cute one by Equipment has the sweetest raspberry print. Love. If you decide to wear shorts instead of a dress or romper, I recommend going with this cuffed denim pair from J.Crew. They’re not only comfortable, but they also have a great fit. Win, win! This cute bag from The Little Market (my online fair trade marketplace) was handmade by women in Colombia, and would make the perfect accessory for your music festival fun. A great gladiator sandal is always on trend for festival season. This blush studded pair by Rebecca Minkoff will match any outfit you put on… and guarantee you have the chicest footwear at the festival. I do love a blush accessory, which is why these pretty pink sunnies are on my list. When you’re out in the sun all day at a festival, you’ll want to block those rays. And there’s no chicer way to do it than with these guys from Cutler and Gross. A great sunhat is equally as important as a good pair of sunnies. My personal favourite is this Panama hat from J.Crew. I wear it whenever I’m out in the sun, and it will go perfectly with any outfit you wear to your favourite festival. No matter what festival you’re headed to, you’re bound to see lots and lots of rompers. My current favourite is this pretty pink pintuck romper from my LC Lauren Conrad line. Throw on a denim jacket and some ankle booties and you’re set. I’ve become a big backpack fan as of late, and I can’t image a better scenario to wear one (other than to class, I guess), than for a music festival. I’m particularly fond of this tan one by Hobo, which also comes in black. It can be easy to lose track of your friends when you’re running around a music festival. You’ll want to make sure you always have a charge on your phone just in case you end up in the lost and found, so pack one of these cuties by ban.do and you won’t have to worry. Confession… I may or may not own this dress in all three colours. It’s the perfect easy, breezy number to throw on when the weather is warm. So why not wear one to a music festival? Pair it with sandals and tie a chambray button down around your waist and you’re ready to go. Like I said before, sunnies are a music festival must-have. Mirrored glasses are on trend right now, and this tortoise shell pair is my current favourite. I’m normally not an earring girl, but lately I’ve been loving the ear crawler trend. My favourite at the moment is this triangle piece by Smith+Mara, which would be perfect for a weekend of fun in the sun with your best friends (and about a million other people). If you don’t want to go the backpack route, I’d recommend grabbing a cross-body bag before you venture out to a music festival. How cute is this ikat one from Anthropologie? Are you heading to any music festivals this season?